Three-time Emmy nominated screenwriter who, most notably, co-created the animated series, Phineas and Ferb, in 2007. He worked as a marketing and sales executive before quitting to pursue work in animated television. 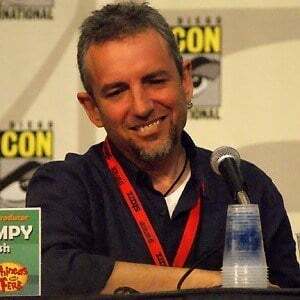 He started his writing career in the 1990s for the series Rocko's Modern Life. He had two children with wife Birgitte Marsh. Actor Vincent Martella has voiced the main character on his show, Phineas and Ferb, for several seasons.